Cavalry were the backbone of the Roman frontier garrisons. They projected the power and splendour of Imperial Rome. 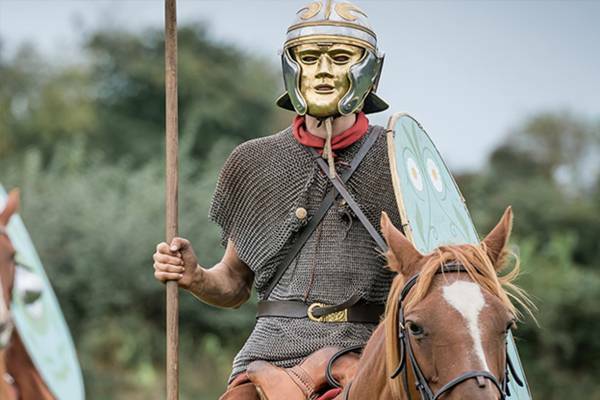 From small scale raids to major attacks, the Romans used the cavalry to instil fear and obedience in conquered peoples. These elite troops protected Rome's north west frontier and projected imperial power. 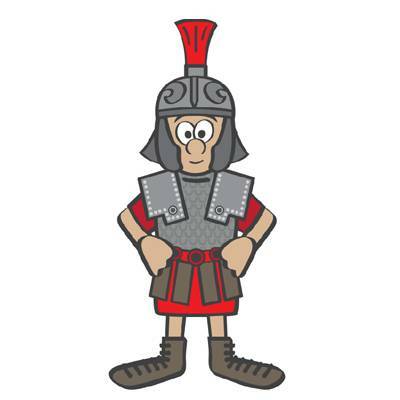 What did the Roman cavalry do? How did they ride and where did they come from? Find out the answers in How Hadrian's Cavalry fought. 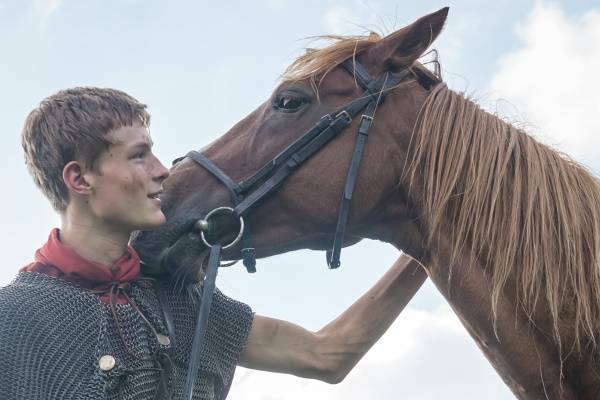 How an historical re-enactment of Roman cavalry has helped our understanding of the practicalities of riding as a Roman cavalryman. Take a look at Turma! Cavalry in action. The Roman cavalry used some specialist weapons on Hadrian's Wall. Learn about their spears, swords and shields in Cavalry weapons. How did the Romans arm their cavalry? 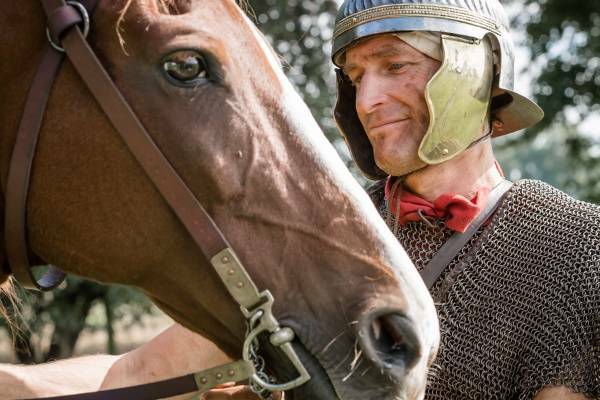 Check out their armour, including chamfrons – horse’s head armour – in Cavalry armour. 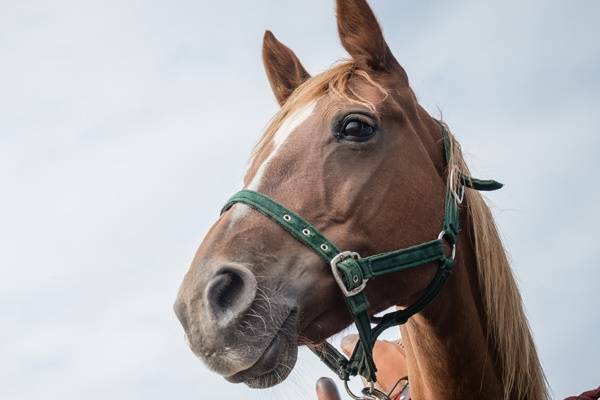 Where did Roman cavalry horses come from? What types of harnesses and saddles did they wear? Discover more, including how riders rode without stirrups, in Cavalry horses. If you've ever been horseriding, you know it's not just about being on horseback! 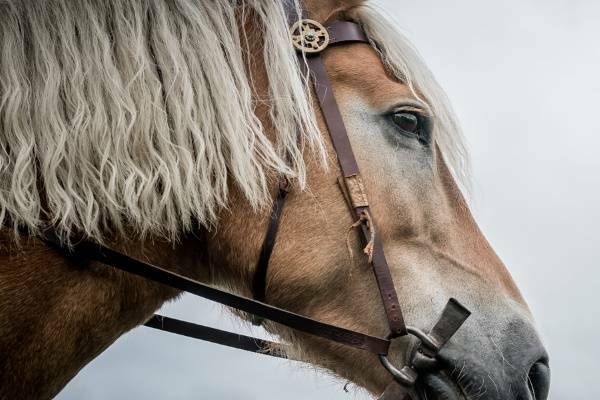 Looking after Cavalry horses explores how the cavalry cared for their valuable mounts. 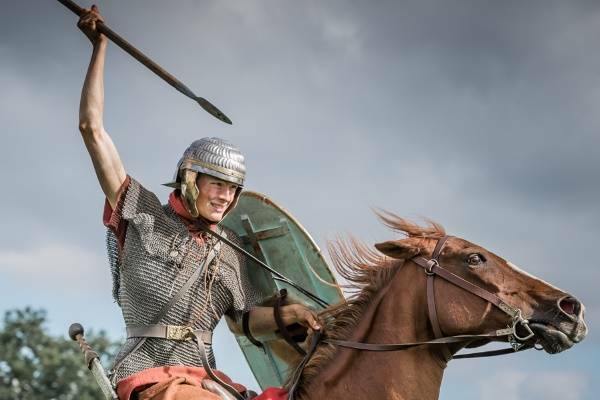 Discover where the Roman cavalry lived and more about the barracks at Carlisle, Vindolanda and the main fort of Hadrian’s Wall at Stanwix in Cavalry barracks. Uncover how and why images of horses permeated the Roman Empire, including as hybrid beasts, in image of the horse in the Roman world. Did you know the Roman horse goddess Epona had Celtic origins? There's more in Horse goddess Epona. From recreating the sound of 2000 hooves to comics, find out more about the modern art inspired by Hadrian's Cavalry. Or why not try crafting your own Roman standard out of card and fabric? "I am named in the Vindolanda Tablets as 'Victor the Hunter'. I am a Vardullian from Northern Spain. My horse is called Regalis." 2017 marked the 1,900th anniversary of Hadrian becoming Emperor. Hadrian's Cavalry was a a major exhibition celebrating the cavalry regiments that once guarded this famous North West frontier. 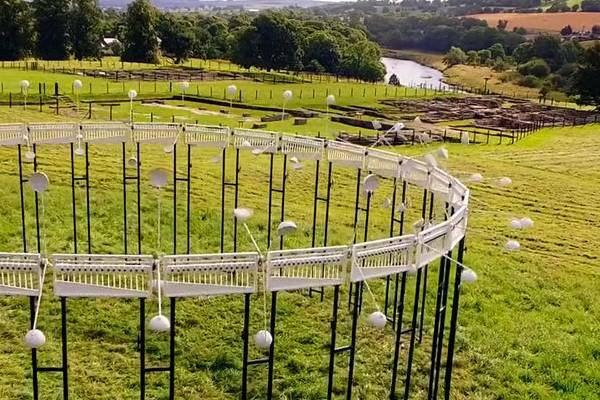 It ran from 8 April - 10 September 2017 across 10 museums and heritage sites coast to coast across the Hadrian’s Wall World Heritage Site. 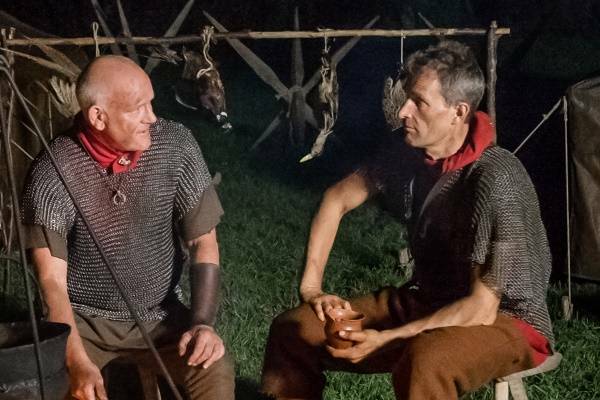 It focused on the theme of Roman cavalry, their daily life and their key role on the Roman Frontiers in maintaining the security of the Empire. It featured a spectacular and unique collection of artefacts including loans of Roman cavalry equipment from the British Museum, National Museums Scotland, German and French museums and private collectors. The exhibition was supported by a programme of re-enactment events. This included the Turma! 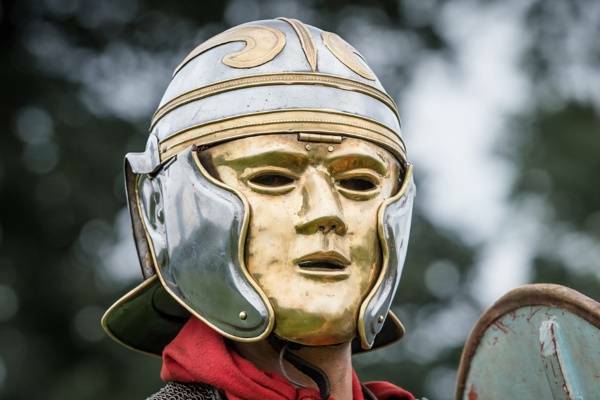 event when a full troop of 30 Roman cavalrymen came together for the first time in 2,000 years to perform exercises and manoeuvres described by Hadrian himself.